I’ve already shared a series of photos for “30 Days of Amsterdam Canal Houses” and “30 Days of Amsterdam Art“, so now it is time to see what everyday life is like in Amsterdam. Or at least in March 2018, which is when I took all the photos that I’ll share throughout April 2018. The first one is very Dutch: cheese, at your local cheese shop. Many of the bridges in Amsterdam have flowers in pots along the railings. These will be in full bloom soon. I want someone to visit Amsterdam and stay at the nearby Amstel Hotel so I can get a tour. We live across the Amstel from it. Open Tower Day happens once a year in Amsterdam, and that was today for 2018. I only had time to visit two of the towers, so I chose Kalverpassage / Blue Amsterdam and Zilveren Toren / Level Eleven Amsterdam. These photos are from Level Eleven, which gives great views of the Amsterdam Centraal Train Station, which is the main one the everyone comes into. They all looked very serious. 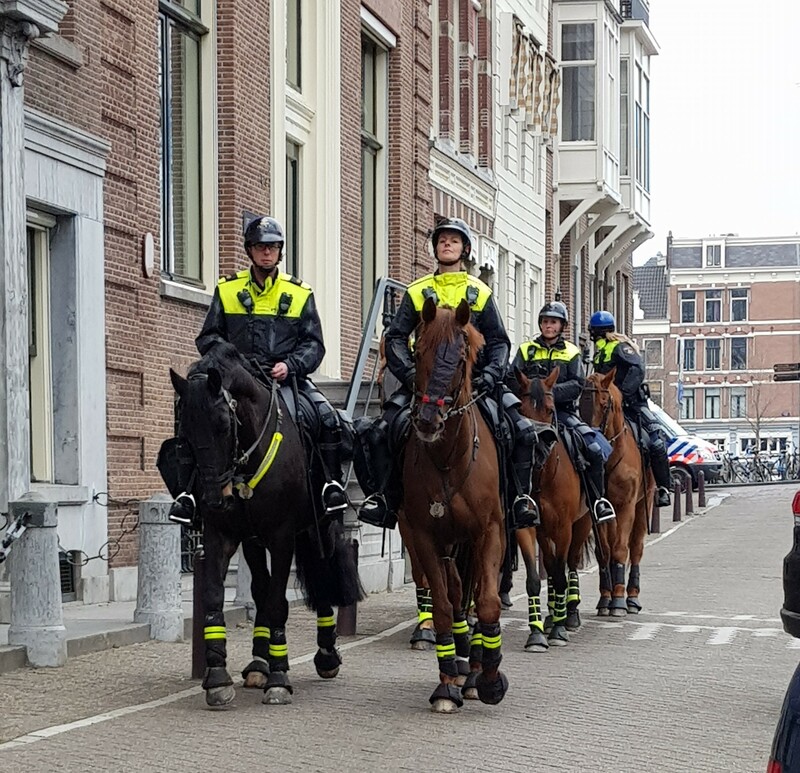 There was a protest going on around the corner, but these police were walking/riding away from it.